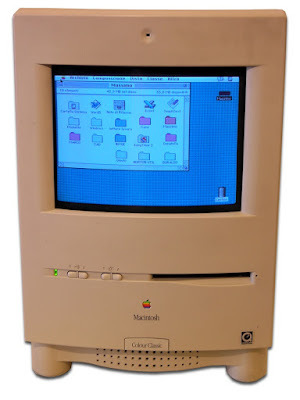 Nine years after the launch of the original Macintosh, Apple launched the Macintosh Colour Classic (or “Color” for colonials) which was the final generation of compact Mac. Well, sort of. 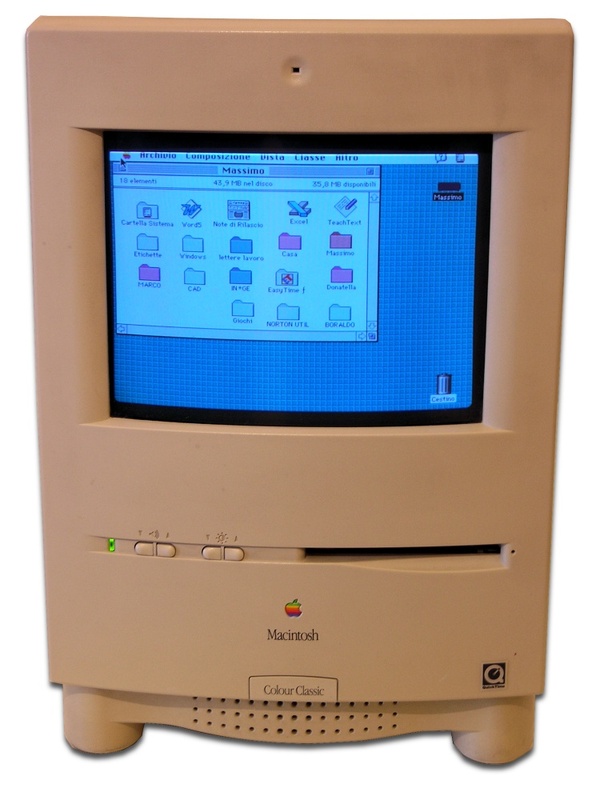 The Colour Classic was perhaps the machine the original Mac should have been. The obvious technical difference here being that the Colour Classic was a colour Mac, unlike all the previous monochrome Classic models. The display was a little larger at 10”, and the all-in-one case had been redesigned to give it a more contemporary look. Inside the Colour Classic was an expansion slot which could take an Apple IIe card, allowing the Colour Classic to run Apple II programs. This feature was primarily designed to get the Colour Classic into schools where (especially in the US) the Apple II was still very popular. Despite being launched more than a decade and a half earlier, the Apple II was still in production (in the IIe form) mostly for the education market. The card had an odd trick of allowing the Colour Classic to run at 560 x 384 pixel resolution (better than the 512 x 384 standard Mac capabilities) to help with emulating the Apple IIe’s 280 x 192 pixel resolution by providing exactly four times the pixel count. However, the Colour Classic could not run many native colour Mac games which required a higher resolution of 640 x 480 pixels, making the Colour Classic somewhat flawed in this respect. Despite running a 68030 CPU, the performance of the Colour Classic was not as good at the SE/30 introduced four years earlier. The performance problems were caused in part because the Colour Classic was essentially a Macintosh LC II shoehorned into the all-in-one case, and the LC II was a lemon of an Apple, basically. Despite these limitations the Colour Classic succeeded in selling well into education markets and was also a hit in Japan. Later in 1993 an upgraded version – the Colour Classic II – was introduced in non-US markets which fixed many of the performance problems.